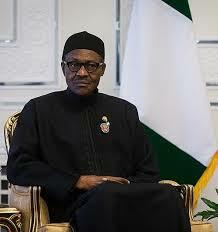 He said, 'Nigeria is a one united nation, which can never be divided by anybody’s selfish interest.' The ailing president thinks he is intelligent to make such a shallow, childish statement. Biafra agitation is borne out of long oppressive and dictatorial rules in Nigeria of which Buhari is quite aware unless he wants to conceal the truth as he is currently doing with his certificate. Everything that led to Biafra secession in 1967 has never stopped and is still happening to date in Nigeria. When the Fulani ruling class sat down to pronounce themselves 'born to rule' and other tribes and regions as 'conquered territory', was that a statement of unity? When they sat down to allocate themselves oil blocs in the Biafra land and neglected the very area that spin wealth to them, was that unity? When the North carefully hatched their political eggs to be only presidents in Nigeria, was that unity? Are these not the height of selfishness? How many Urhobo people have oil bloc? How many people in Owaza, Ukwa, Oguta, Akwa Ibom, Cross River, or even in Delta state have oil blocs? Who is selfish more than Buhari and his Fulani oligarchs? If the agitation for Biafra is 'selfishness', what is his coming to power through the back door called? Buhari is the proverbial pot calling the kettle black! Does his senses not tell him that it is not those who started things that are usually the best? Read also:UNITED NATIONS CHARTER: BIAFRANS RIGHT TO FREEDOM IS YOUR LAW: ENACT WHAT YOU PREACH! Why did he join the military which began ever before he was born? Why didn't he refuse to join the army because it started before he was born? Buhari should be ashamed of himself that the citizens of the country he claimed to be the leader are agitating strongly for self independence right before his eyes, and all he could do was mutter the beggarly unintelligent statements that holds no water. It was ever since last May, 2015 that Buhari came to power that his country became chained so much more that some states up till today find it extremely difficult to pay their workers' salaries. Yet he is there in Aso Rock enjoying his undiluted one hundred percent benefits. That the Nigeria Buhari is governing has expired as a country since January 2014, is not even giving him a concern. Despite his recent call for the freedom of the Palestines and Western Sahara, he still doesn't know that what is "good for the geese, is good for the gander". All he wants is 'unity' at all cost no matter how many life is lost in the process, a failed marriage aimed at spreading his Islamic tentacles under the guise of CHANGE. Buhari should have this at the back of his mind that he can not defeat the ideology behind Biafra, because IPOB under the leadership of Nnamdi Kanu are fanatical about this project. For him to say that Biafra is dead and rested, is an unfounded statement borne out of ignorance and hatred. If what he claims is true, how come the official declaration was 'No victor, No vanquished'? Where lies the 'Biafra dead and rested' in this statement? Yes, it can be said that Biafra is forgotten, but by who? The perpetrators of the war of attrition which includes Buhari himself as he rightly accepted in his recent statement, fought with their might to make Biafra forgotten, but little did they know that every of their oppressive rule became a catalyst for the Biafrans who watched them exhibit their callousness with impunity just like they did in 1966, before the war began. Now, it is the time to pay back whether Buhari wants it or not. Their atrocities has reached its climax and those who still think Biafra is 'rested and forgotten' even in the midst of the despicable oppression must actually be day-dreaming, just like the leader of their rogue country who would do anything to hide the reality behind his certificate saga. We are gradually following Buhari using every available 'peaceable' means of self actualisation as clearly enshrined in the United Nations Charter on the Rights of the Indigenous People. With those rights, we simply agitate. But Buhari has killed us, maimed us, sent us to prisons, all this without trials, and yet he wants us to remain Nigerians, he must be delusional. We remain Biafrans and nothing can stop us from restoring the Independent Sovereign State of Biafra, not even the African Hitler Muhammadu Buhari.